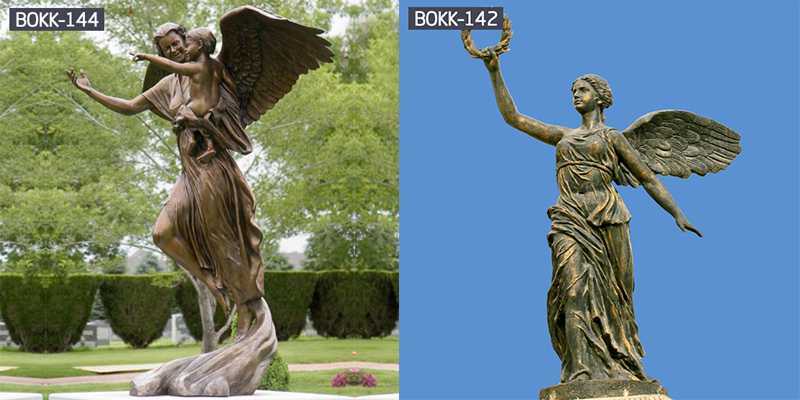 It is always a heart touching process to create the Bronze angle statue of a deceased child. But Lena Toritch feels it is one way she can help people heal from the tremendous loss of child. 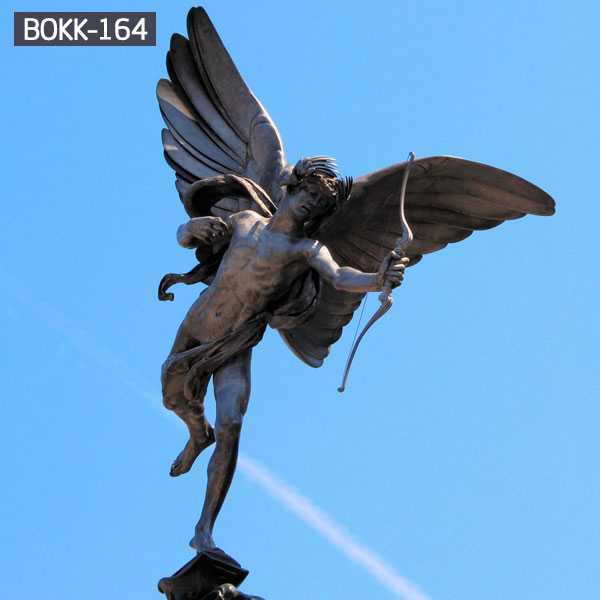 Toritch uses photographs and videos to recreate a remarkable likeness. 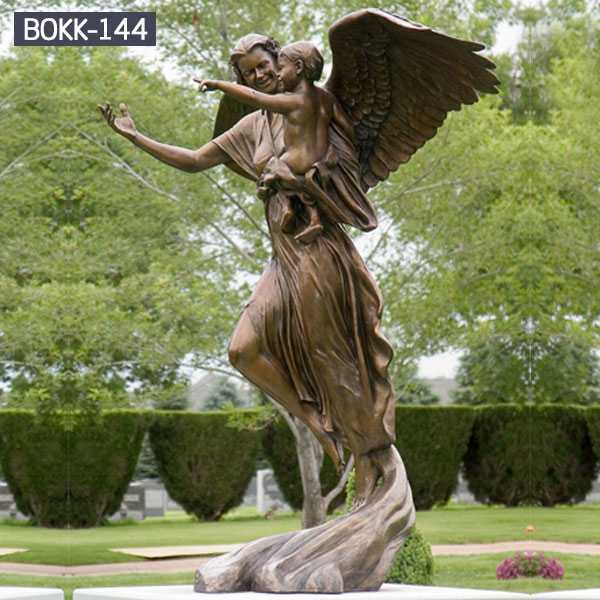 Erica’s Angel bronze memorial statue has become a favorite to many. There is so much hope and reassurance in the child’s smile, gentle hand of the Angel and a fine detail of the girl’s dress. 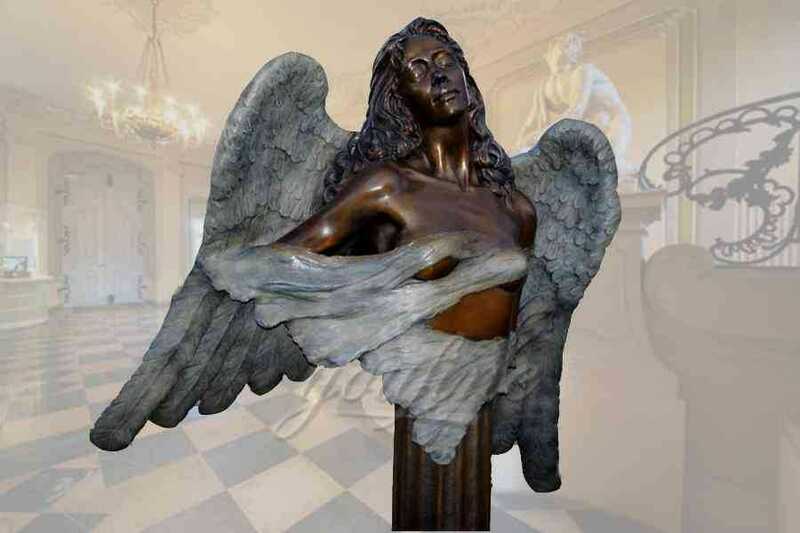 Sculptor Lena Toritch considers this memorial portrait statue on of the finest and most complex examples of her custom sculpture work. 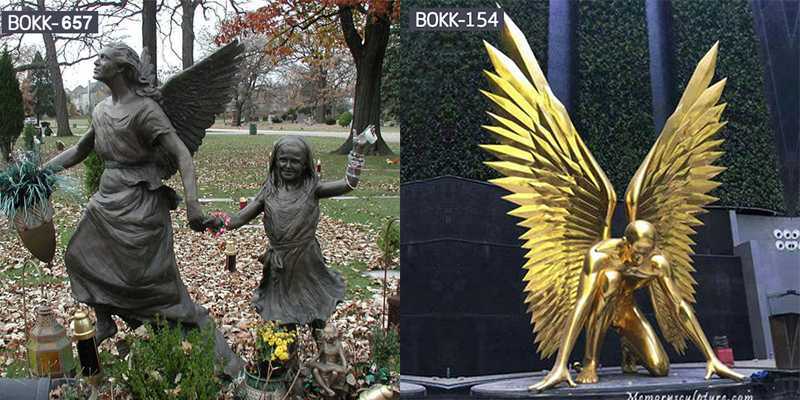 The life-size bronze had to be installed on a narrow cemetery plot. 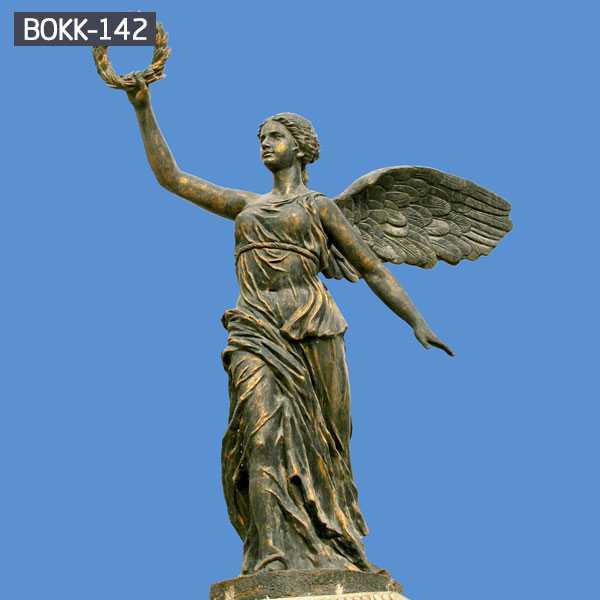 The statue composition was designed to balance the weight of a 6′ tall bronze angel while maintaining a weightless, celestial feel of the sculpted figure. 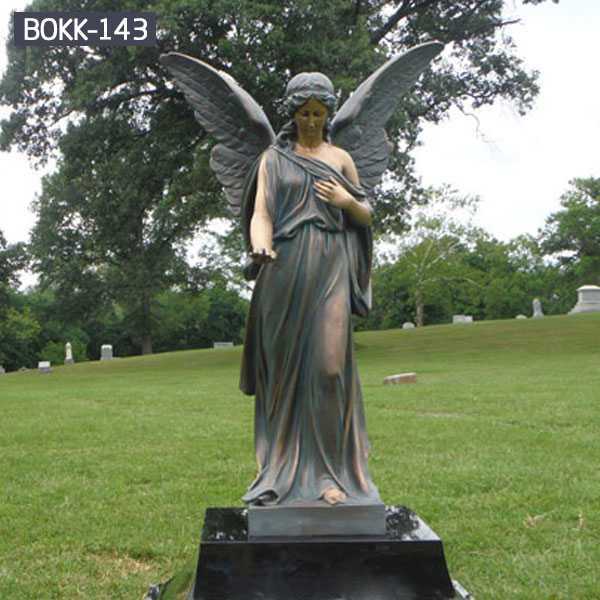 This private commission bronze portrait statue became a hallmark of healing for grieving parents. 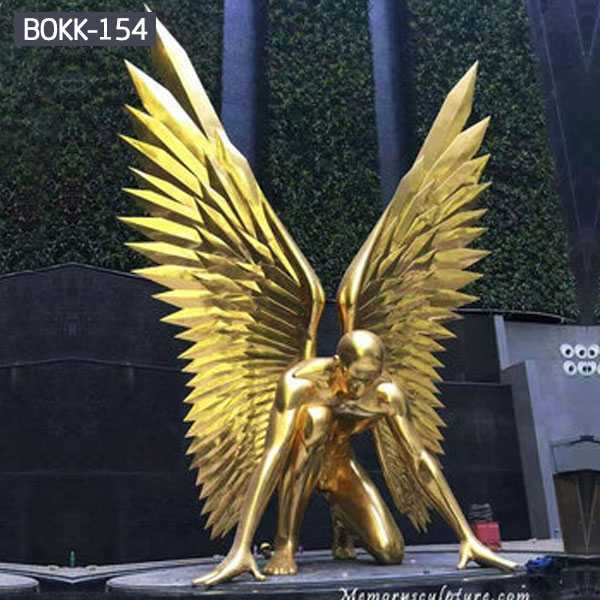 Our company is based on bronze angle sculptures, with art as the root, the tradition of Chinese culture, the processing of bronze sculptures of western characters, the charm of European art, and its unique style. 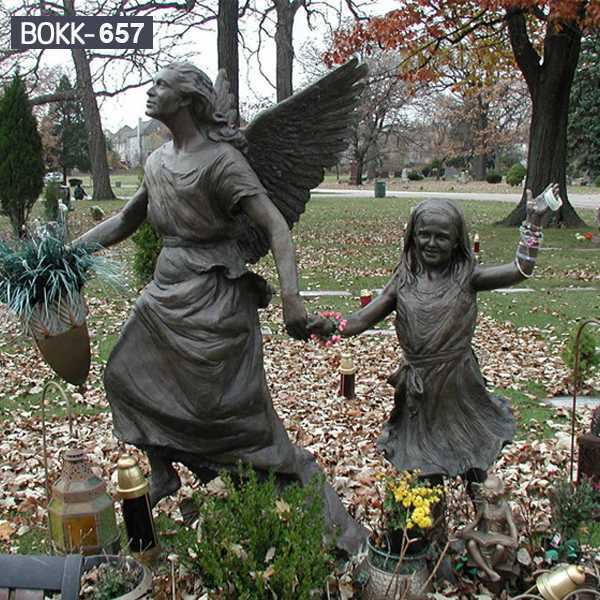 If you have any question for the memorial garden angel statues, please feel free to contact us!